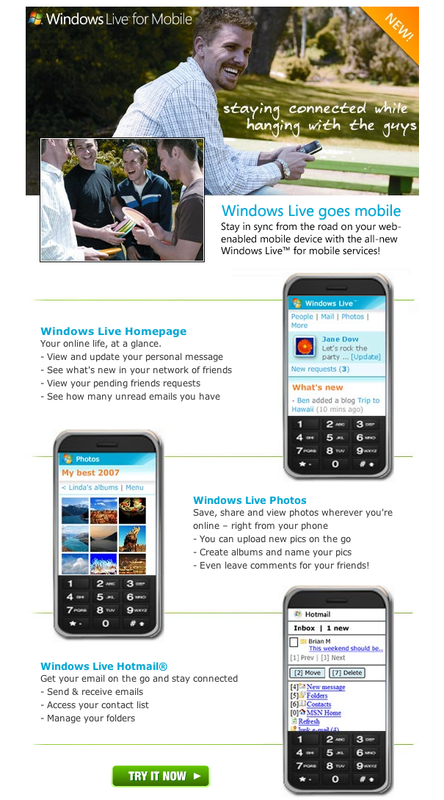 A co-worker forwarded the following email announcement regarding Windows Live Mobile – screenshot of email below (click for a larger preview). 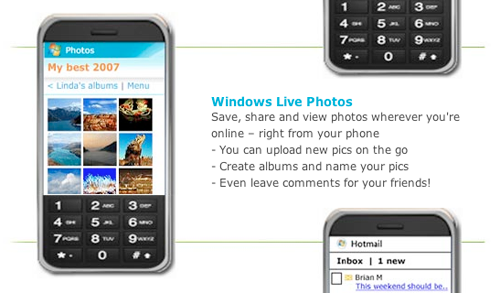 The advertising agency responsible for pushing the Windows Live Mobile newsletter features a handset which seems to be suffering from a bit of an identity crisis. Who am I, what am I? With Microsoft recently announcing its Windows Mobile 6.5 version to accompany attractive handsets from HTC and Samsung, why cut corners mating screenshots with the outer remnants of the Apple iPhone? Older: “The future of WordPress themes”, what do you think?